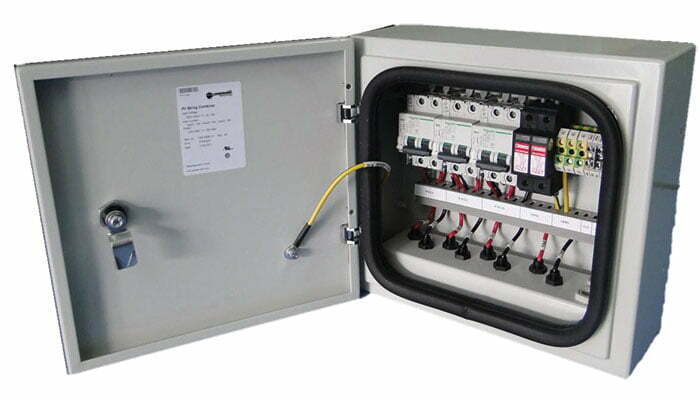 The PV String Combiner Box provides multiple functions including solar energy collecting, switching control and power distribution, which helps to optimize the working efficiency of Hybrid Power System. As a component of Hybrid Power System, PhotoVoltaic (PV) String Combiner can combine up to three PV strings to a single output and be provided with or without surge protection and with either standard MC4 or Amphenol connectors. The enclosure provides IP55 protection and is suitable for most outdoor environments.